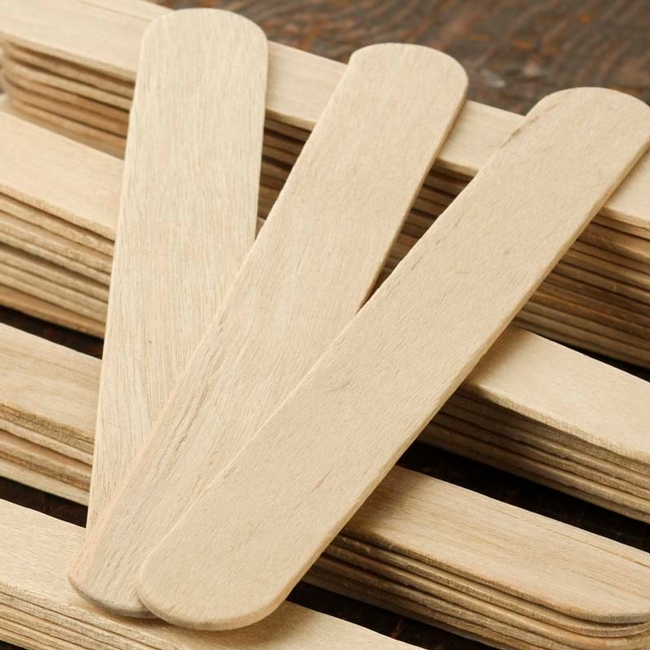 Grab a cup of your favorite beverage and a writing implement. Six thousand tomato seedlings, old and new favorites, will be looking for their “forever home” at the 7th Annual Master Gardener Tomato Sale starting at 9 a.m. on Saturday, April 13. The sale location is 1710 Soscol Avenue, next to Central Valley Hardware, in Napa. For your perusing pleasure, I present this year's tomatoes. If nothing says summer to you like a hearty red slice of beefsteak tomato gracing burgers and salad plates, consider Ball's Beefsteak. This variety yields hefty 8- to 12-ounce red globe-shaped fruit. 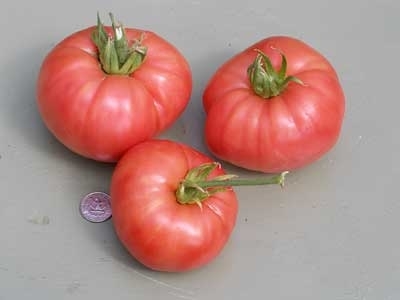 Highly disease- and crack-resistant, Ball's is one of the earliest beefsteak varieties to ripen. 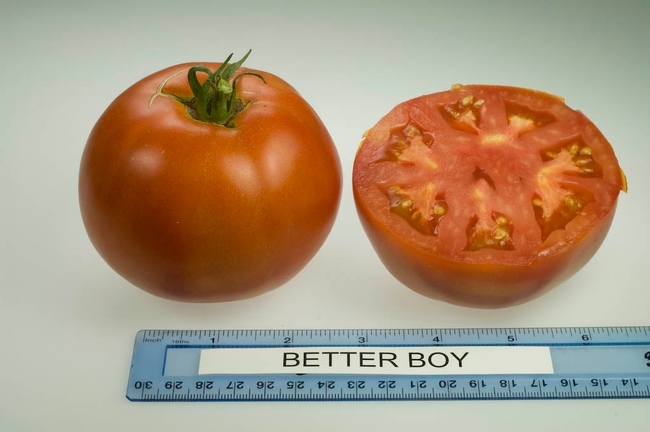 Better Boy ripens midseason and produces until frost, yielding tasty red tomatoes that can weigh up to one pound. 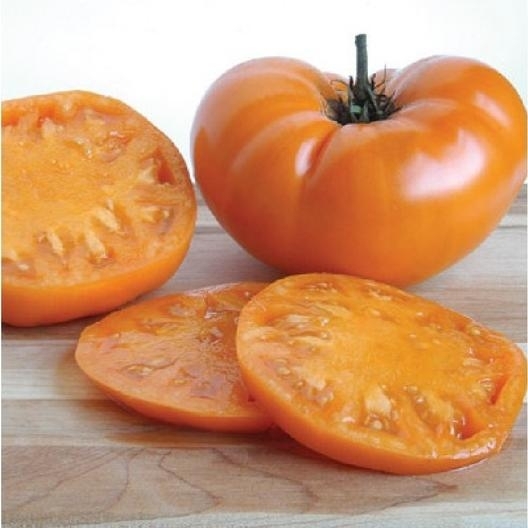 Good disease resistance and classic flavor makes this one a trusted favorite. If bigger is better in your view, try Giant Syrian. 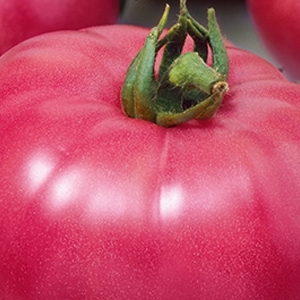 Meaty, heart-shaped tomatoes with a balanced sweet-tart flavor can reach three pounds each. If you live in a hot, humid part of the county, this variety could be a winner for you. It does need a strong cage. Marianna's Peace is a new variety, a pinkish-red beefsteak producing fruit weighing one to two pounds that grow on vigorous vines. 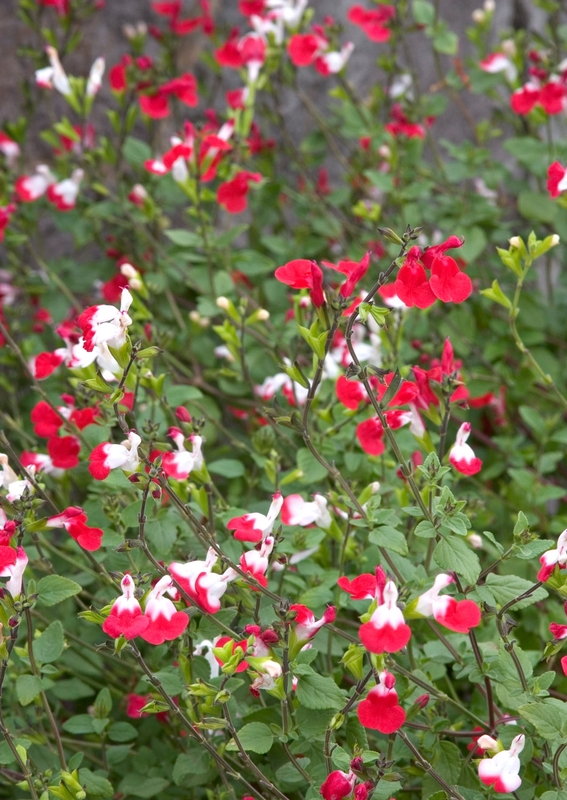 Master Gardeners who live up valley say this one does well in the hotter parts of our county. Do you love beefsteak tomatoes but want to try something a little different? Black Krim, a deep brown-red Russian heirloom, starts out with brownish-green shoulders that darken as the fruit ripens. 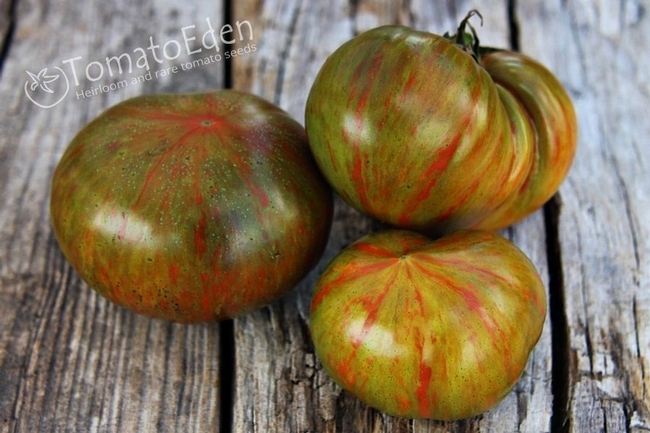 A smoky, rich flavor differentiates this tomato. 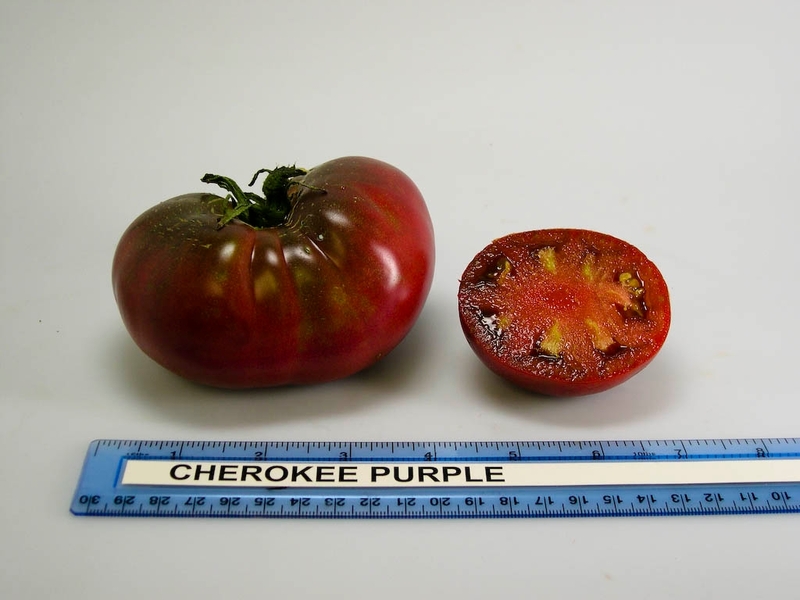 Cherokee Purple's 8- to 12-ounce flattened globes are a favorite among heirloom tomato growers: dusky pink with dark shoulders and deep-flavored purple to green flesh. 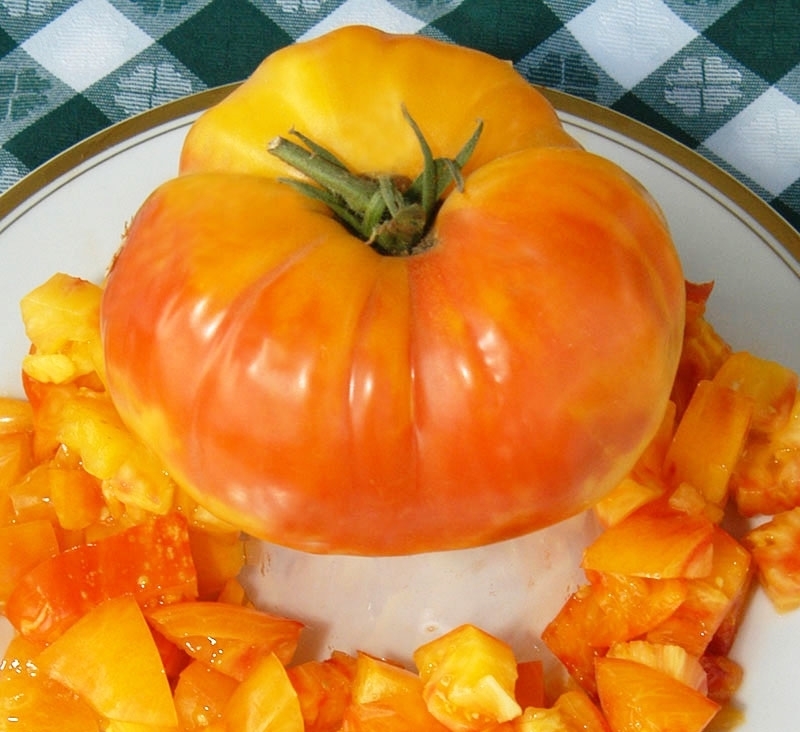 Yellow-tomato lovers have two choices for beefsteak types this year. Kellogg's Breakfast produces beautiful one-pound yellow tomatoes with wonderful flavor that are gorgeous sliced, with golden juice and few seeds. I have grown Kellogg's for four years and plan to grow them again. 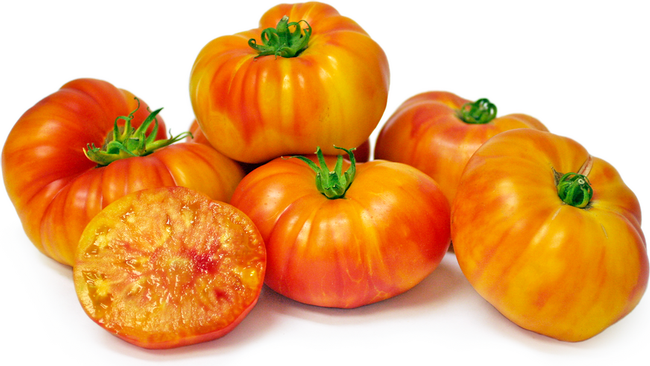 Hess, a new German bi-color heirloom, produces one- to two-pound tomatoes in glorious yellow marbled with pink and red. The flavor is described as mild, sweet and delicious. 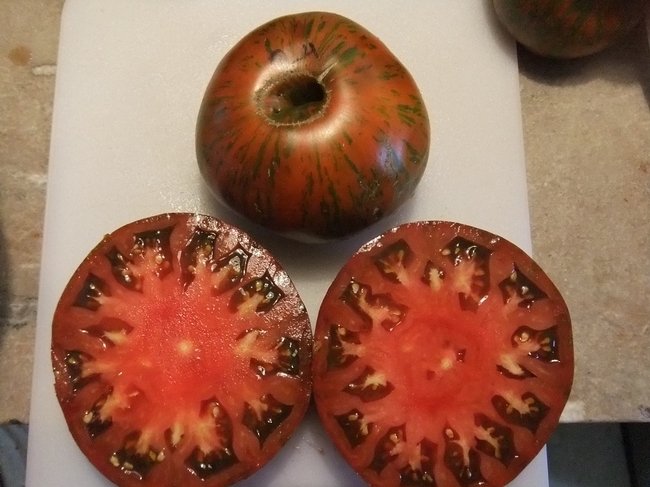 Many of you have grown Marvel Stripe, another bi-colored beefsteak, so you know it is flavorful, beautiful and large. Yet another beefsteak offering is Summer of Love. It has the wild pink and green coloring of Berkeley Tie-Dye, but this improved version produces more tomatoes earlier. 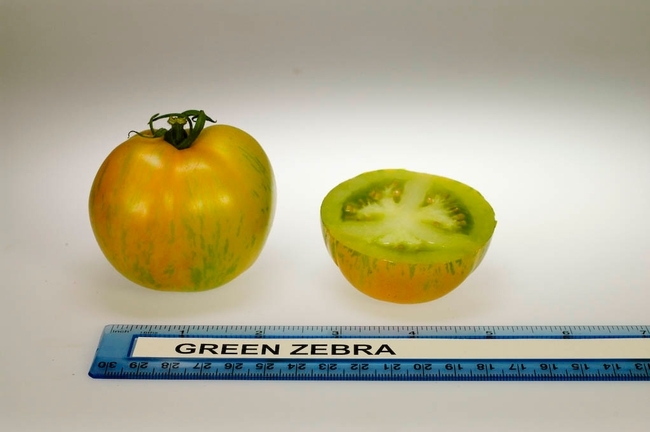 All beefsteak tomatoes are indeterminate, which means they keep growing throughout the season. These large plants need strong cages, staking or trellising. If you can hardly wait for tomato season, try Bloody Butcher. With five to nine tomatoes per cluster, each weighing three to four ounces, Bloody Butcher has a rich heirloom flavor and is ready to harvest in eight weeks. Early Girl is another early-season winner, dependable and bountiful until frost. Crimson Carmello is a personal favorite. Bred in France, these round juicy four- to five-inch tomatoes taste just the way tomatoes should, with a perfect sugar-to-acid balance. Chocolate Stripes is striking with beautiful mahogany flesh and green and red striping. The flavor is described as complex, rich and earthy, and it is reputed to produce a plentiful crop of three- to six-inch fruit. Green Zebra is a bright green to chartreuse slicing tomato with a zingy punch. Jaune Flamme (“yellow flame”) produces trusses of apricot-colored fruit suitable for eating fresh, roasting or drying. 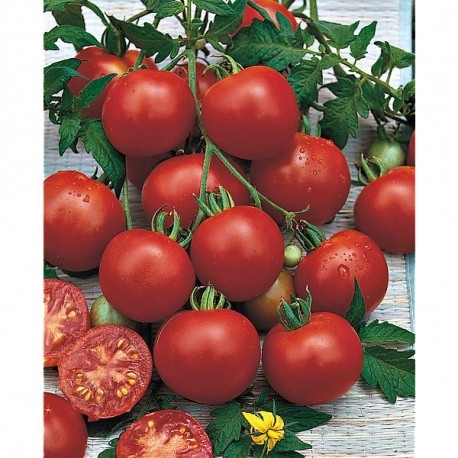 Moving on to paste tomatoes, the meaty varieties for sauces and canning, meet Gladiator. 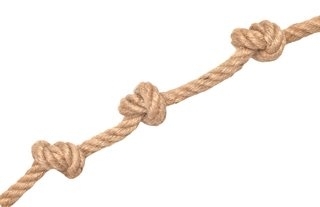 It's a great tomato for the gardener with no garden. Small enough to grow in a container, Gladiator yields an abundance of eight-ounce fruit to keep your sauce and salsa needs at bay. 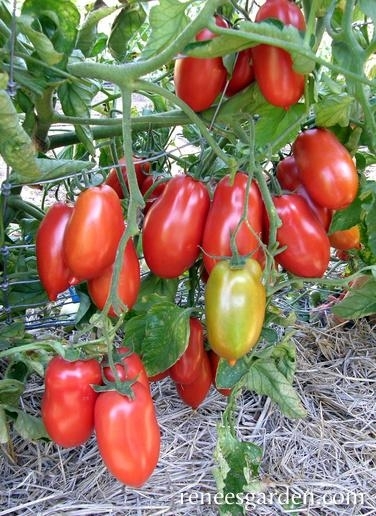 Pompeii, another dependable Italian Roma variety, produces well in my garden with strong, disease- resistant plants. 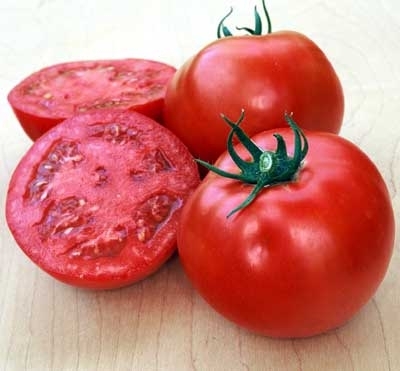 Its meaty tomatoes cook down to a rich, flavorful sauce and are equally good sliced in salad. San Marzano is the variety you pay extra for in tins at the grocery store. 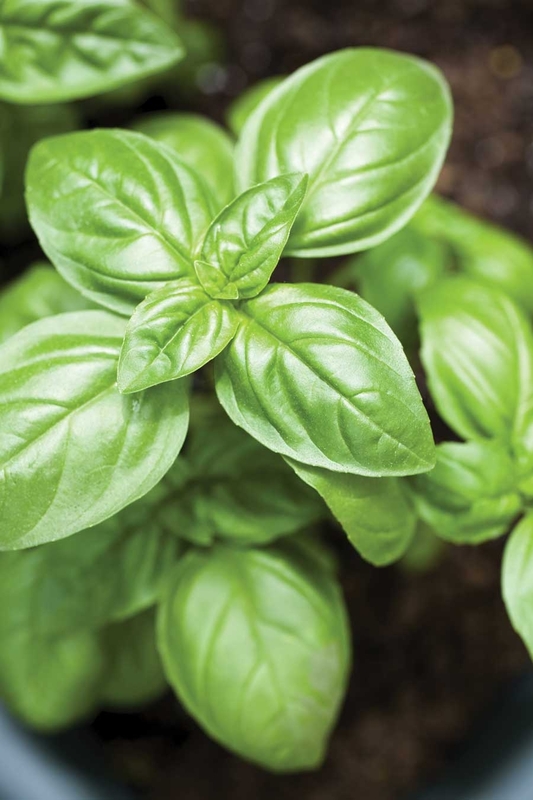 Why not grow them yourself this year for your own cucina italiana? 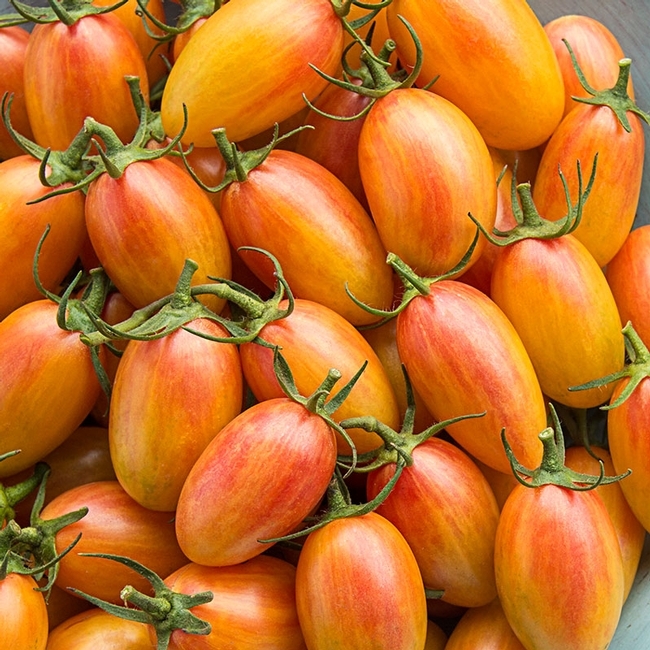 For cherry and grape tomatoes, consider Brad's Atomic Grape. The oval tomatoes ripen to olive-green, red, brown and blue when fully ripe and range in size from grape to plum. If you like different, this is a must. 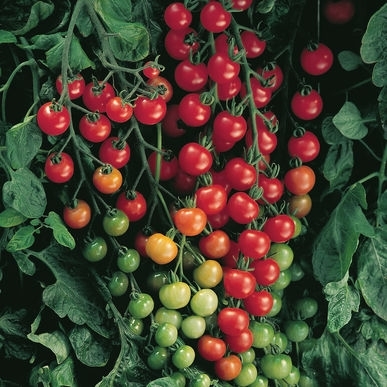 Barry's Crazy Cherry is a pale-yellow tomato with a tiny beak. 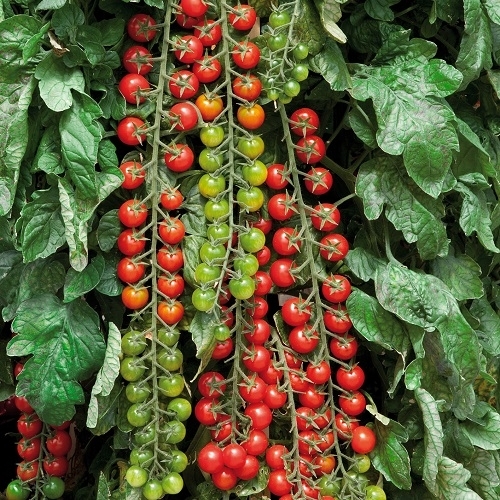 Growing in clusters of up to 60 fruit and described as “mind boggling,” these sweet little tomatoes are keepers. You might also want to try Blush, an elongated fruit that starts golden yellow and ripens with red stripes, for a striking addition to your summer salads. 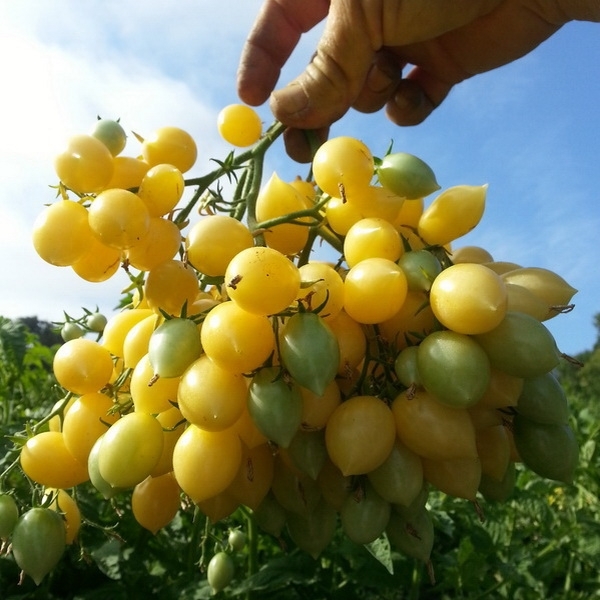 Sun Gold, an award-winning sweet and productive cherry tomato, is back at the sale again this year. 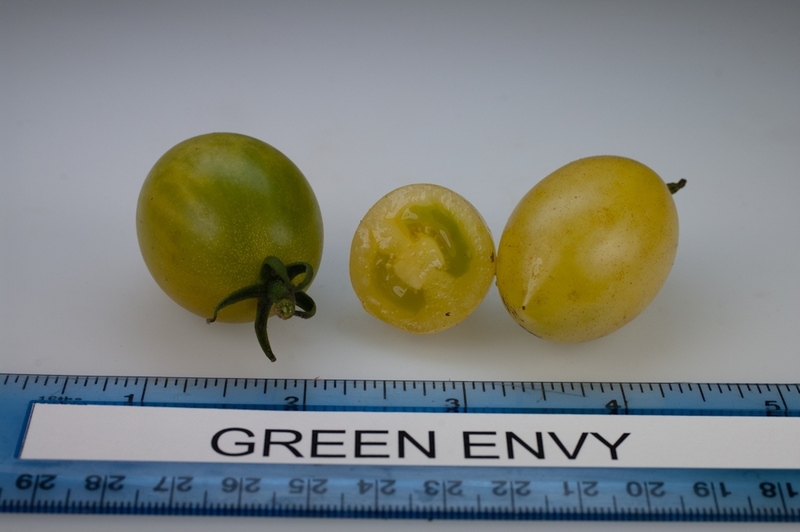 Green Envy is a newcomer with one-inch translucent emerald-green fruit to enjoy raw, baked or sautéed. The lovely Rapunzel is back with her tresses bearing up to 40 tomatoes each. Finally, Super Sweet 100 vines are loaded with one-ounce sugary tomatoes that never make it to the kitchen at my house. We'll see you at the Master Gardener tomato sale on Saturday, April 13, at 9 a.m. Come early and bring a box. Workshop: UC Master Gardeners of Napa County will hold a workshop on “Growing Tomatoes” on Saturday, April 6, from 9:30 a.m. to 11:30 a.m. at University of California Cooperative Extension, 1710 Soscol Avenue, Napa. This workshop repeats on Sunday, April 7, from 1 p.m. to 3 p.m., at Yountville Community Center, 6516 Washington Street, Yountville. Join our experienced tomato growers for tips and tricks on cultivating perfect homegrown tomatoes. 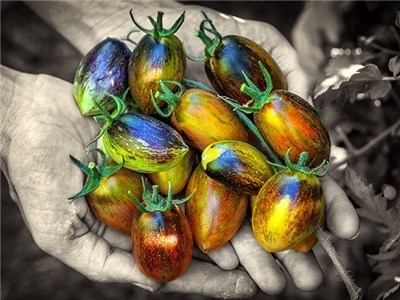 Learn the latest research on tomato cultivation and care, and discover new and heritage tomato varieties. You'll get all the information you need to grow delicious and beautiful tomatoes in your own large or small garden or in containers. Growing America's favorite garden fruit is not only fun and easy, but also the best way to acquire healthy food for you and your family. For Napa: Online registration (credit card only); Mail-in/Walk-in registration (check only or drop off cash payment). For Yountville: Registration or call 707-944-8712. When you are planning your summer garden, remember the pollinators. 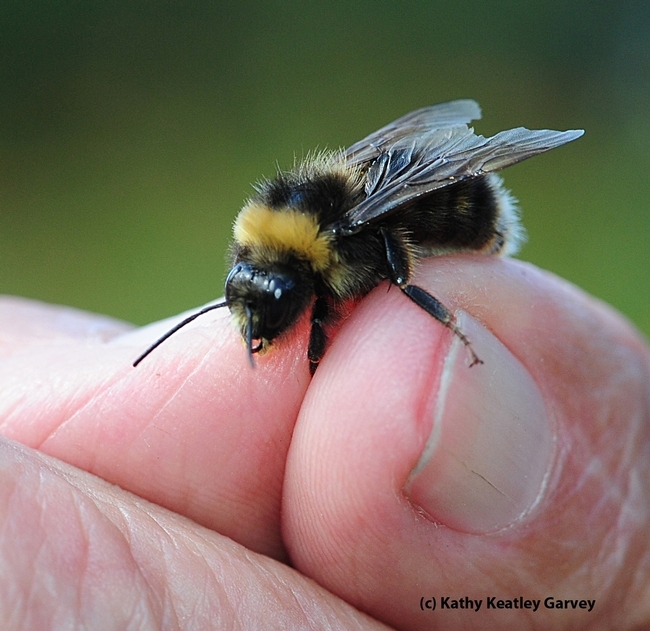 Bees and other pollinators are in trouble in California and across the U.S. and need our help. They are nectar feeders so put in plenty of blooming plants for them. Without pollinators we would lose many food crops. There are 1,000 species of California native bees. Twenty-six of these are bumblebees and most of the rest are solitary bees. The pollinators native to our area have evolved with the native landscape so it's important to have some native plants in your garden. 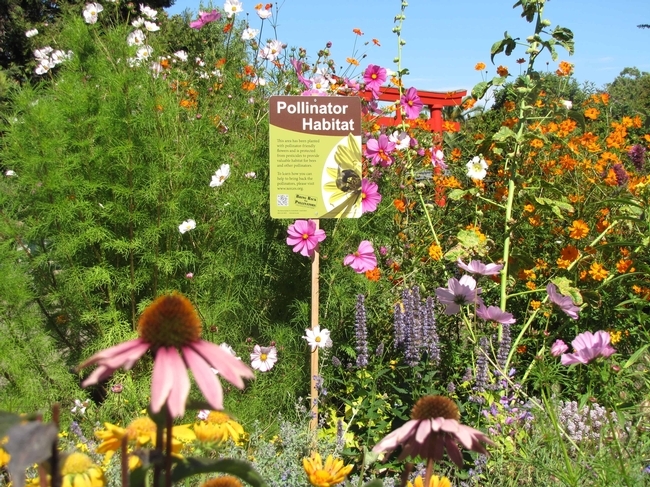 Pollinators include native bees and butterflies. Honeybees are not native to the United States but were introduced for their honey. However, other pollinators are just as effective. Let me introduce you to some of our native bees. 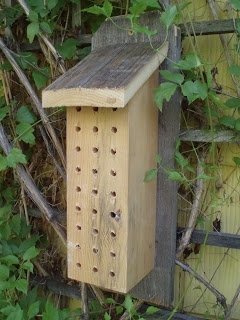 For several years, I have created nests for the native mason bees. 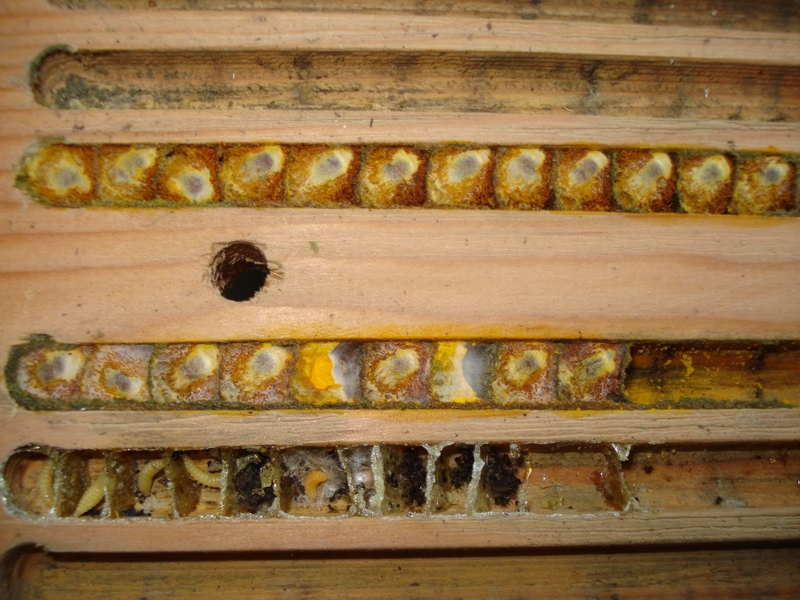 These nests consist of pieces of wood with 3/8-inch holes drilled into them. The one they visit most is a piece of firewood. Mason bees have nested in it repeatedly. I know they were there because of the mud in each hole. Last year I actually saw the bees leaving their nests and then returning. They are about to come out this spring to pollinate the fruit trees. They don't spend much time flying around before they start building new nests for their babies. 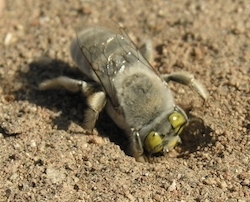 The mason bee creates its nest in long narrow tunnels within the wood. 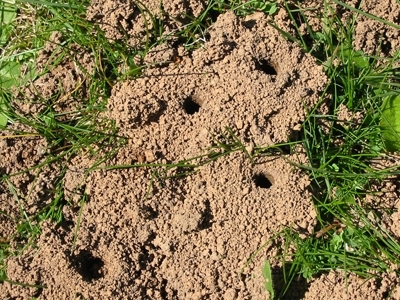 The bees do not make these tunnels; they find them and move in. So I drilled the holes for them. 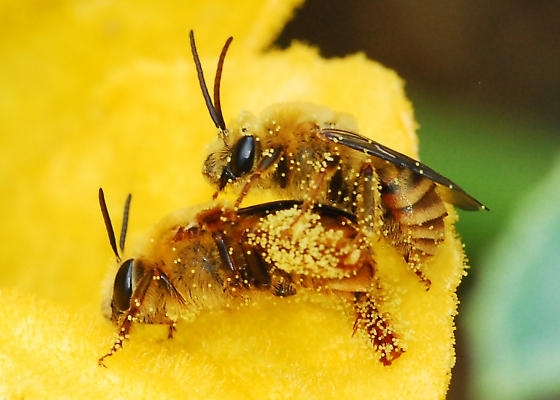 The bees pack the holes with pollen, lay an egg, pack in more pollen and lay another egg. They put three to five eggs per hole depending on the depth. When they are done laying, around the first of April, they seal the holes with mud. I know the nest is full when I see mud in every hole. The eggs hatch the following spring. This year I did not move the nest to a sheltered location. It appears that woodpeckers have tried to drill out the nest. I will wait and see how much damage the birds have done by the end of March. I have bumblebees in my garden every year. They especially love my ‘Hot Lips' salvia from Mexico. They spend all day gathering nectar and are gentle. Bumblebees nest in the ground. You should always leave a cleared area in your garden for them; they will not nest in mulch. I often find their little mounds. When they are done digging, you cannot tell they were even there. They love one particular area of my garden that I always keep clear of mulch. I also see a lot of carpenter bees, the big bees that drill for nectar in the back of the flower. They are gentle and you can observe what they are doing easily. They can be destructive when they drill into untreated lumber. I had them in my hothouse one year. They had drilled all the way to the end of a 12-foot-long 4 x 2 board. I had to replace that wood and paint it with latex to keep them out. Putting steel wool in the holes will also stop them. They do need a place to lay their eggs, however. 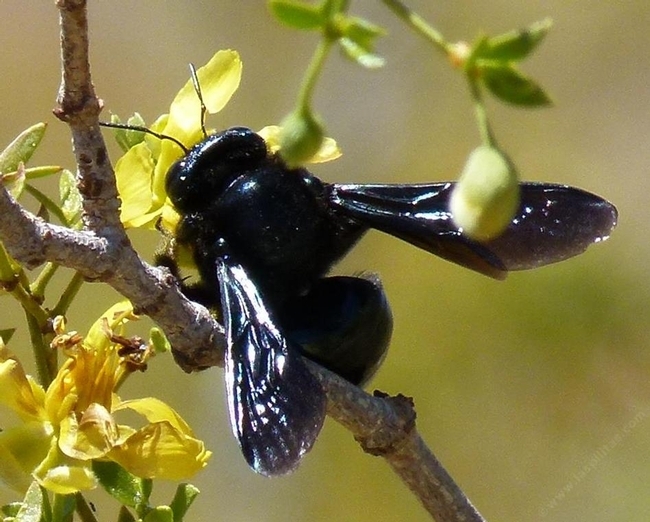 The male carpenter bee is a big brown teddy bear. He has only one purpose: to pursue females. He does not sting. I had a visit from one a few years back and he hung around me for a while. Once their mating duty is done, they die. Digger bees and squash bees both nest in the ground. Squash bees emerge to pollinate squash and gourds. They are only present when these plants are in bloom. Even so, I hand-pollinate my squash to make sure I get fruit. Bumblebees are said to buzz tomatoes, which are self-pollinating. Just to be sure the flowers do pollinate, I shake the vines every morning when I do my walk-through. To lure pollinators to your garden, plan to have a variety of plants blooming every month of the year. Workshop: UC Master Gardeners of Napa County will hold a workshop on “Growing Tomatoes” on Saturday, April 6, from 9:30 a.m. to 11:30 a.m. at University of California Cooperative Extension, 1710 Soscol Avenue, Napa. 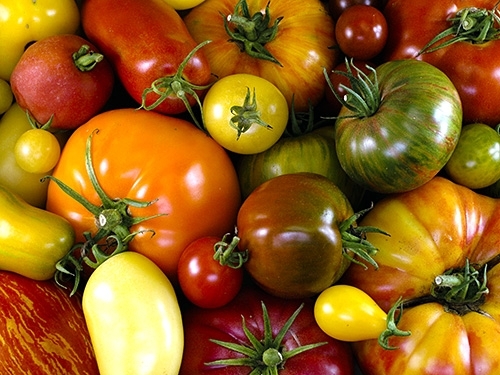 Join our experienced tomato growers for tips and tricks on cultivating perfect homegrown tomatoes. Learn the latest research on tomato cultivation and care, and discover new and heritage tomato varieties. 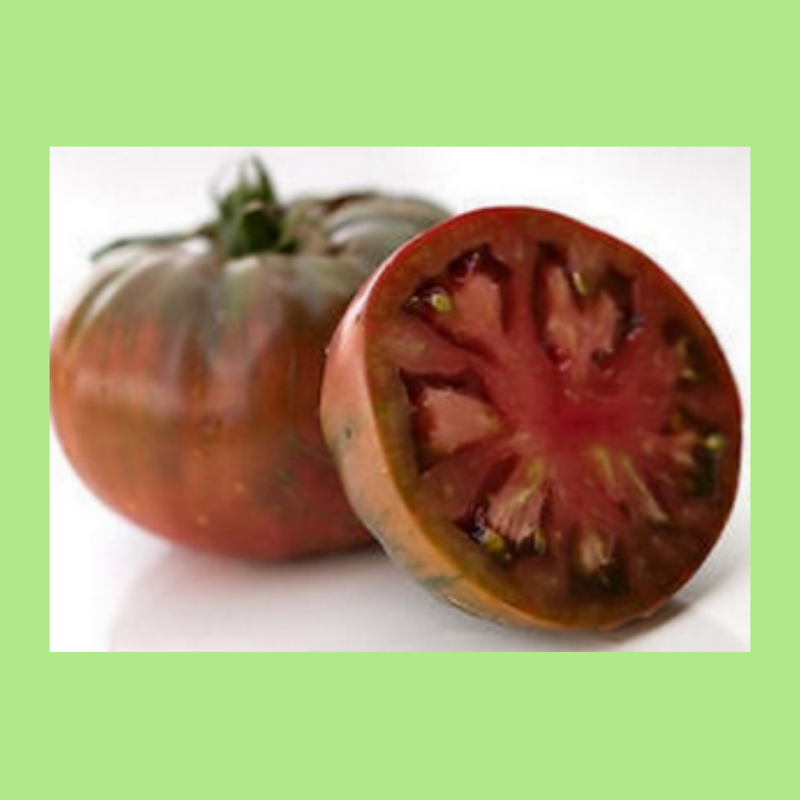 You'll get all the information you need to grow delicious and beautiful tomatoes in your own large or small garden or in containers. Growing America's favorite garden fruit is not only fun and easy, but also the best way to acquire healthy food for you and your family. Online registration (credit card only); Mail-in/Walk-in registration (check only or drop off cash payment). Spring is around the corner, ready to bring new opportunities to spend time in our gardens. While many of us find this thought exhilarating, some prefer to spend their time in other ways. A large proportion of these garden avoiders are young people who view gardening as little more than a chore. Engaging children in activities that do not involve a video screen can be challenging, and no doubt many parents ask themselves whether it is worth the effort. 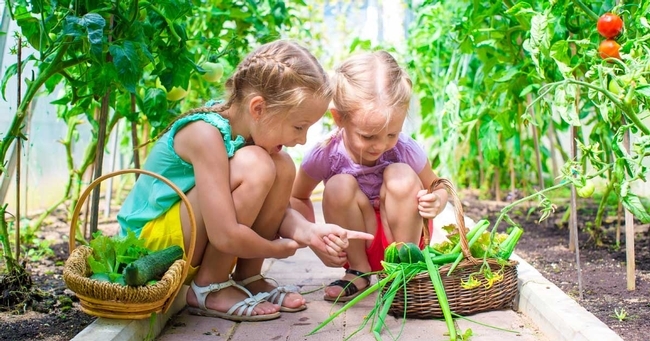 The benefits of gardening have been well espoused in relation to adults; the benefits to children may seem less straightforward. Perhaps the most obvious is exercise, an undeniable requirement for the young. Gardening is also a way to connect children to the natural world, a connection that brings with it a respect for the environment and our dependence on it. 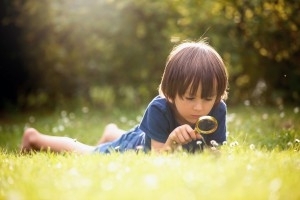 Children are also naturally curious. he limitless avenues of investigation into the biology, chemistry and general function of a garden can greatly increase one's understanding of how the world works. The act of growing food for oneself and family is an invaluable experience. Not only can this endeavor impart an appreciation for healthy food, but it can be extremely empowering. Food is one of the few true necessities in life, and children can benefit from knowing that they can be at least somewhat self-sufficient in that realm. But how do adults make gardening fun and interesting to youngsters? As the grown-up, your first task is to find out what grows well (and quickly) in your climate and yard. A child will lose interest if plants grow too slowly or, even worse, never germinate at all. 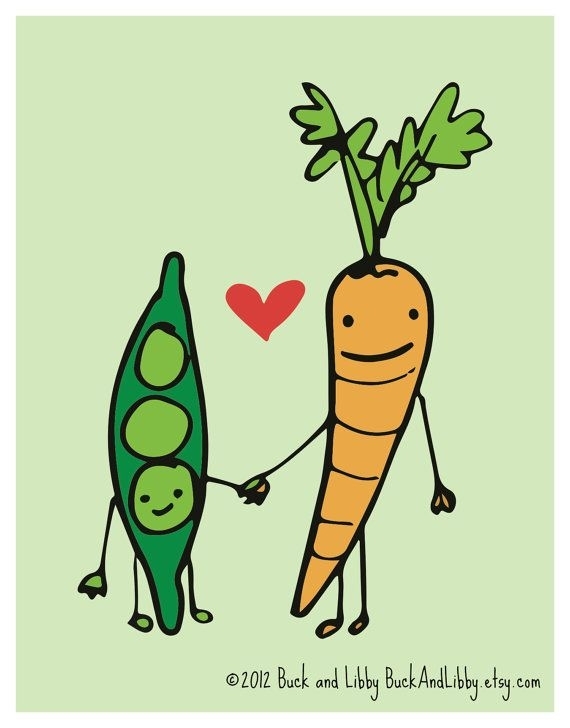 In Napa Valley, March is a great time to plant peas and carrots, which will sprout quickly and mature in May. 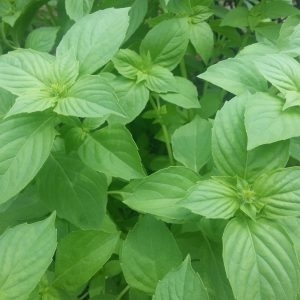 These vegetables are also fun to harvest and can be eaten without even cooking, adding to the excitement. 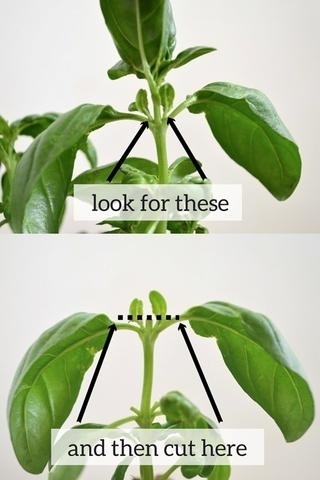 Some plants are simply more fun to grow than others. 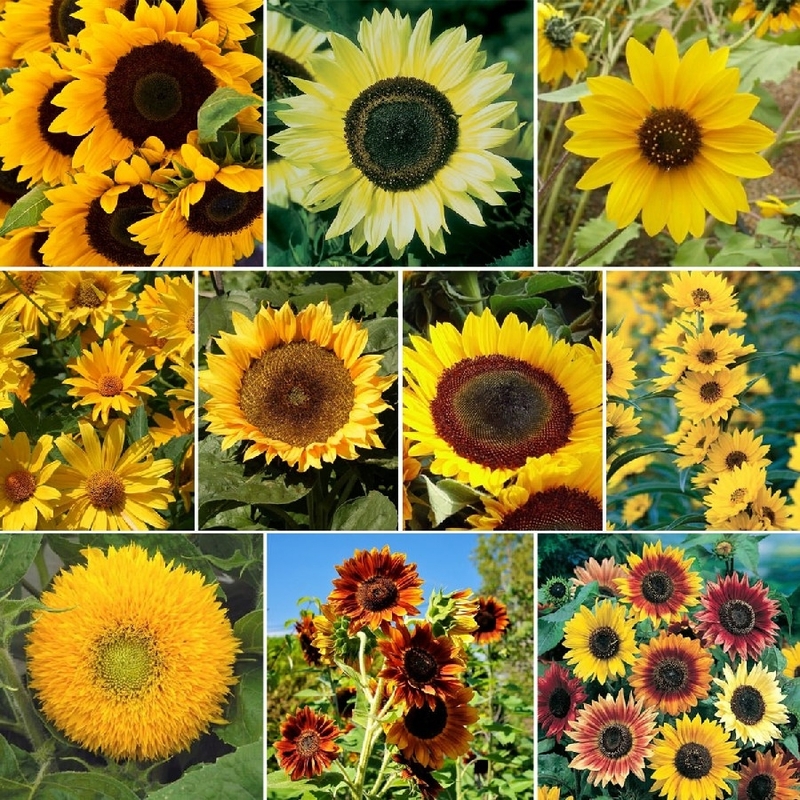 People of all ages appreciate sunflowers. The seeds are easily sown, and many varieties reach impressive heights. 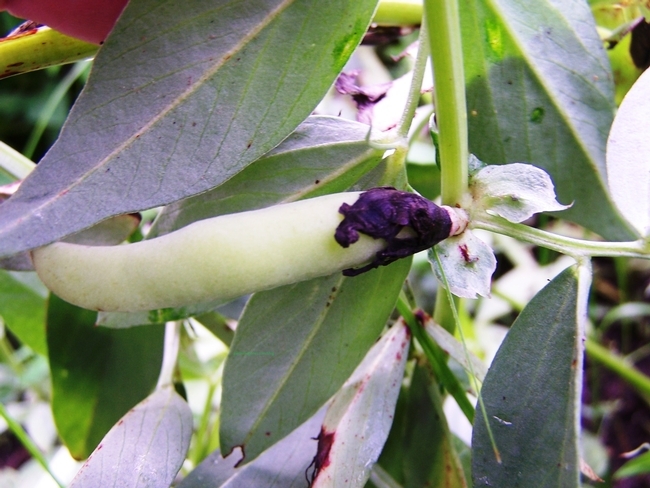 Birds love to eat the new seeds growing on the blooms, adding an additional chance to observe nature. 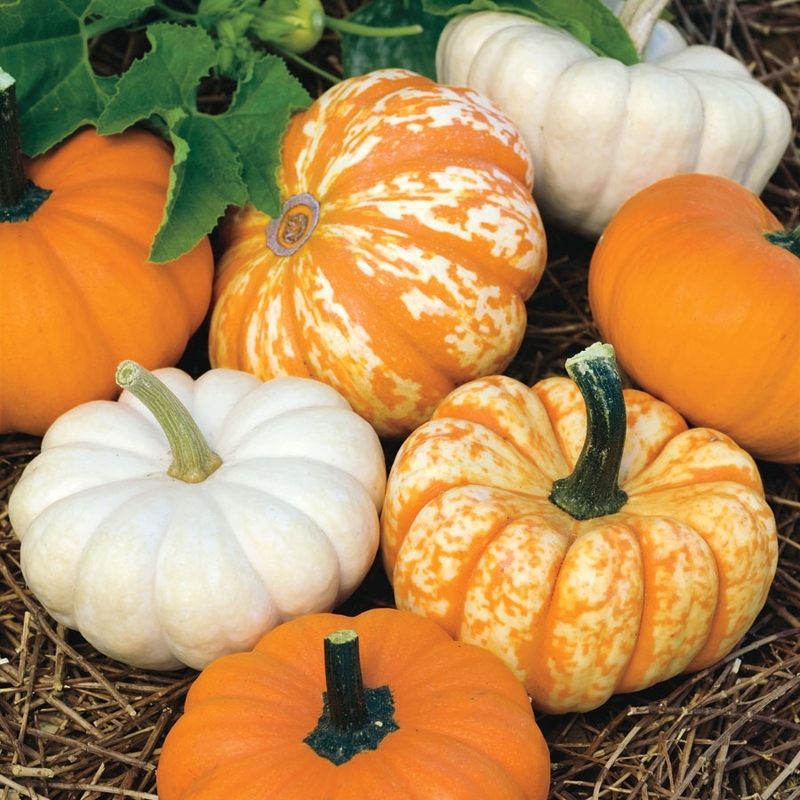 Pumpkins are another visually impressive option, growing from small seedlings to giant gourds. Some varieties are suitable for carving into jack o'lanterns; check the description on the seed packet. 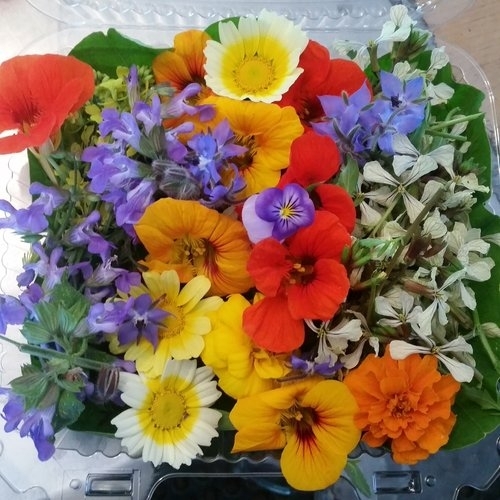 Edible flowers are also sure to please young people. Pansies and violas make attractive toppings for salads or desserts, but also consider the tasty blossoms of nasturtium and borage. Just be sure that youngsters understand that only some plants, and some parts of plants, are safe to eat. 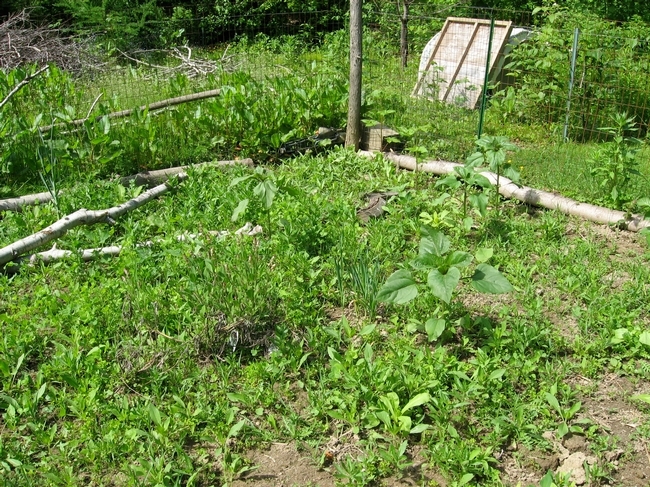 A cover crop is another option that teaches many garden lessons. Brassicas such as mustard and legumes like fava beans are inexpensive to sow and need little encouragement to grow. The garden also holds some important lessons for older children. Pollinator decline and soil health are both important current issues that can be taught in the home garden. I have yet to meet a teenager who is uninterested in insect metamorphosis, one of the most undeniably unsettling things to witness. The interdependence of organisms within the soil ecosystem is an analog for nature as a whole, and the lessons come with an excuse to get dirty. If you have a group of children you hope to inspire, or a classroom that needs a garden, there are resources available to you. For the past five years, a group of Napa County Master Gardeners has been dedicated to getting kids excited about plants and gardening. 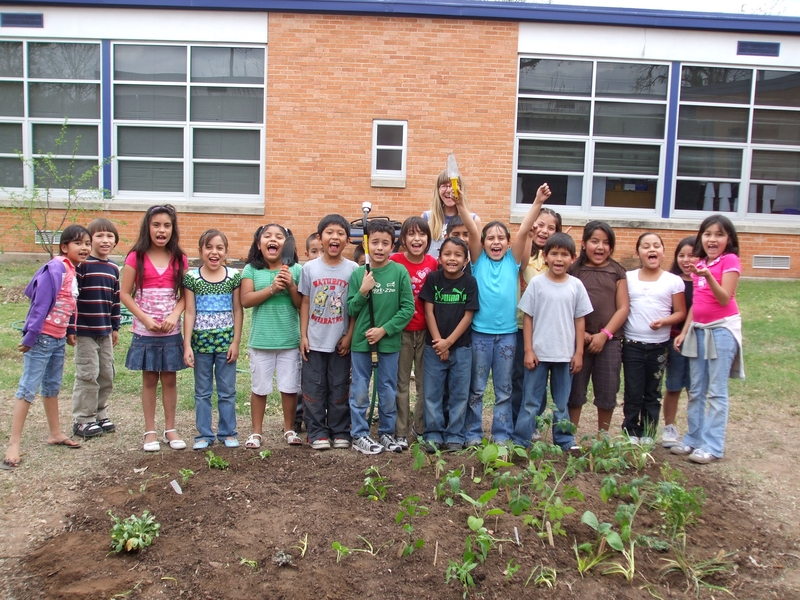 Known as The School Garden Task Force, this group has been helping educators around the county find the horticultural resources they need. The team was also a founding partner of the Napa Valley School Garden Network, a group of citizens who share a mission of starting a garden at every school in Napa (www.nvusd.org/nvsgn). 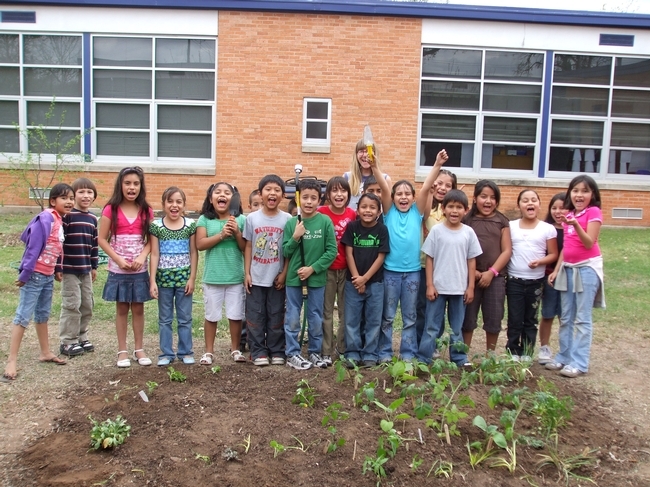 There are myriad resources online related to gardening with children. I have found projects of all levels of involvement and complexity. The most important thing is, of course, to get kids into the garden. Once there, they will surely find something intriguing. Workshop: UC Master Gardeners of Napa County will hold a workshop on “Growing Tomatoes” on Saturday, April 6, from 9:30 a.m. to 11:30 a.m. at University of California Cooperative Extension, 1710 Soscol Avenue, Napa. 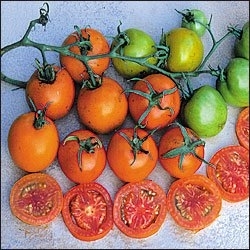 Join our experienced tomato growers for tips and tricks on cultivating perfect homegrown tomatoes. Learn the latest research on tomato cultivation and care and discover new and heritage tomato varieties. 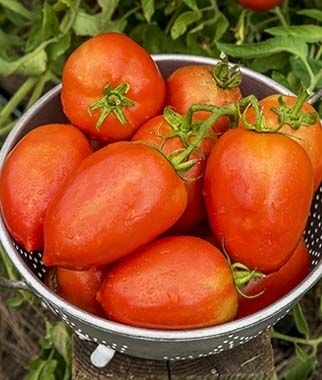 You'll get all the information you need to grow delicious and beautiful tomatoes in your own large or small garden or in containers. Growing America's favorite garden fruit is not only fun and easy, but also the best way to acquire healthy food for you and your family. Online registration (credit card only); Mail-in/Walk-in registration (check only or drop off cash payment). 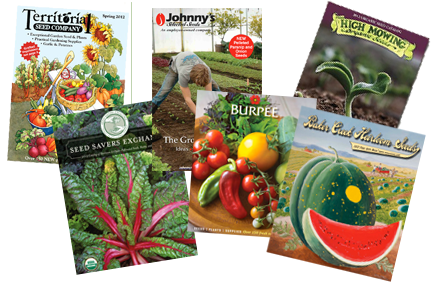 The recent rain and cool weather have given us plenty of time to pore over all those seed catalogs looking for a new vegetable variety to try or reordering seeds for our favorites. 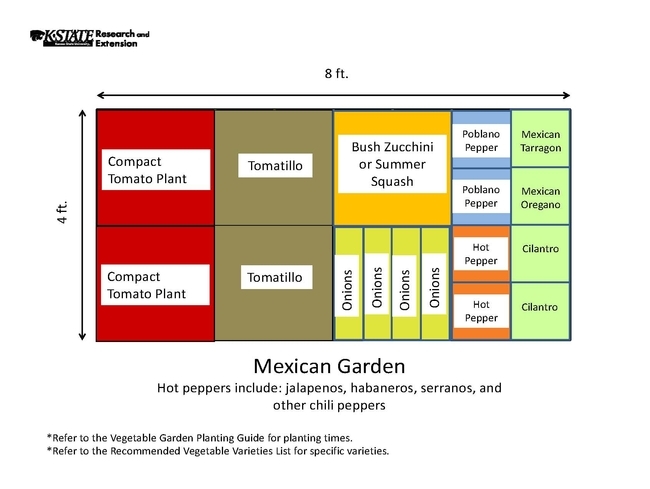 It's time to start planning your summer vegetable garden (although it's not planting time yet). Fortunately, we live in an area with a Mediterranean climate, characterized by long, dry summers and mild, rainy winters. As a result, we have two cool seasons annually for gardening, one in late summer and early fall and the other in early spring. 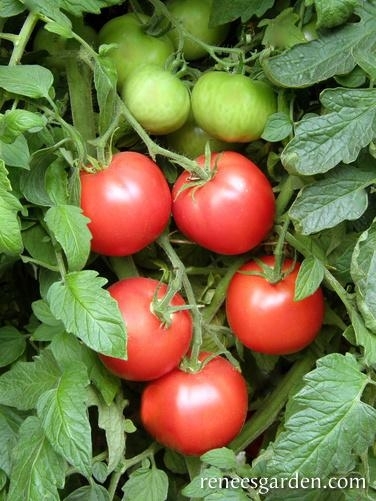 Our warm season typically starts in late April when the soil is warm enough to plant tomatoes. 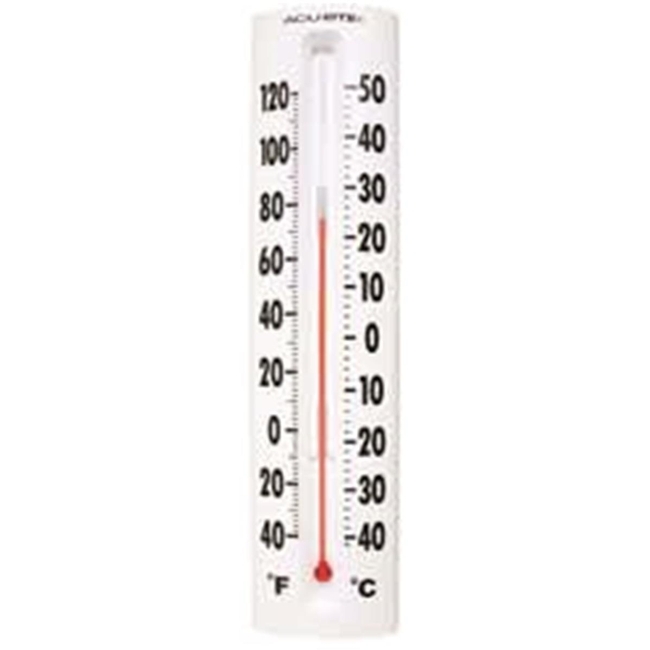 Now is the time to start planning for that warm season. You can start your own warm-season vegetables now in pots. 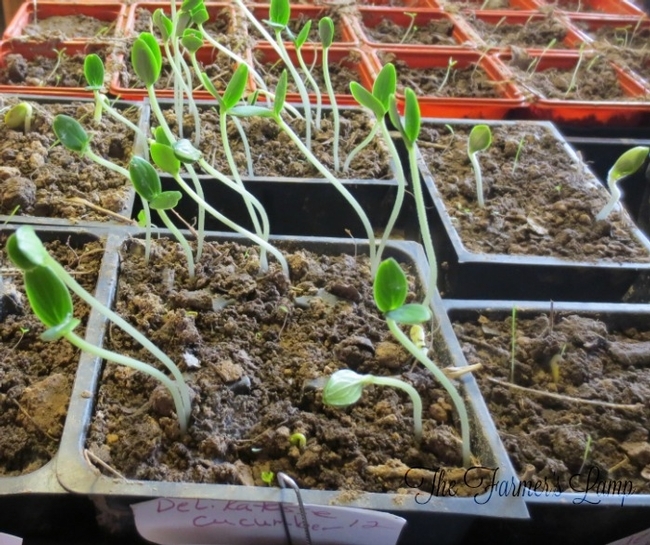 Tomatoes, peppers and eggplants are easily started from seed indoors. These vegetables require warmth to germinate so it's a good practice to put seed-starting trays on a heat mat. 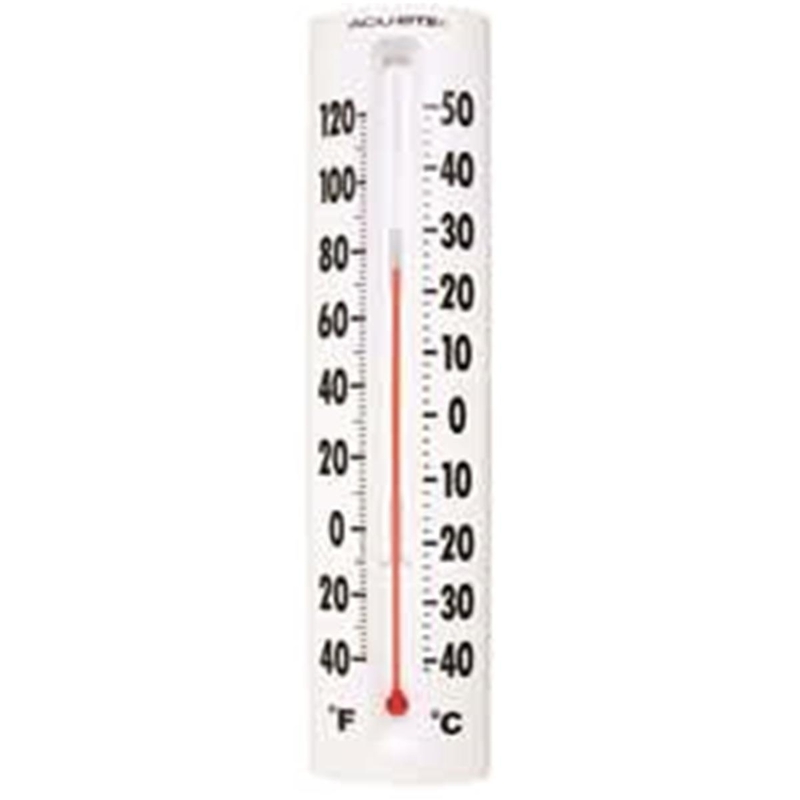 All seeds need the correct temperature and moisture to germinate. But after they sprout, light becomes all important. 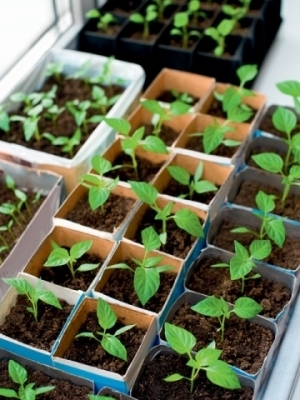 Put baby seedlings in a sunny spot by a window or, if using a grow light, keep the light about 1 inch above the leaves to prevent spindly, weak plants. 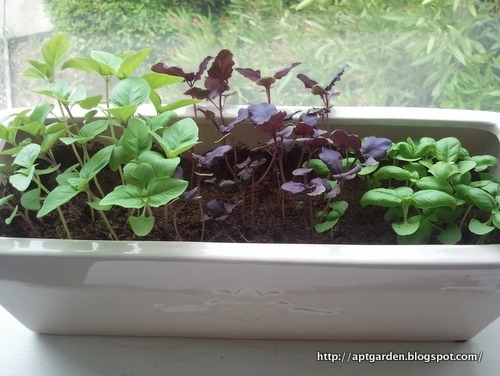 If your seedlings do get leggy or aren't dark green, they need more light. Keep soil moist but not soggy and use a half-strength liquid fertilizer once a week. In about six weeks they will be ready to plant outside. Be sure the area where you intend to plant your seedlings gets enough sun. Six to eight hours is the minimum for most vegetables. 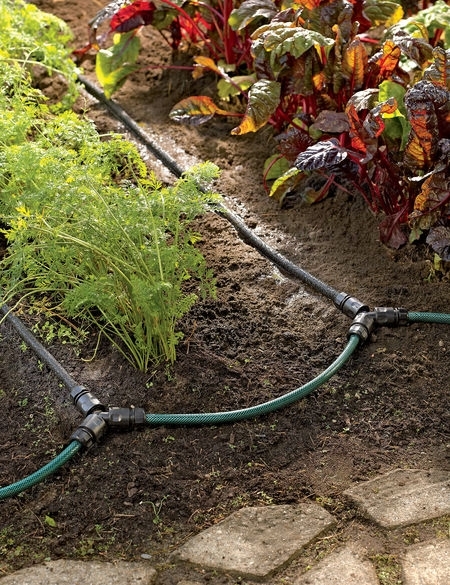 Do you have a plan for irrigation? 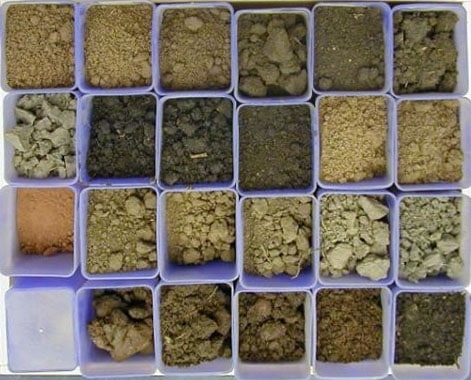 And have you examined your soil? Is it nice and crumbly, like a piece of chocolate cake? Or is it waterlogged clay? 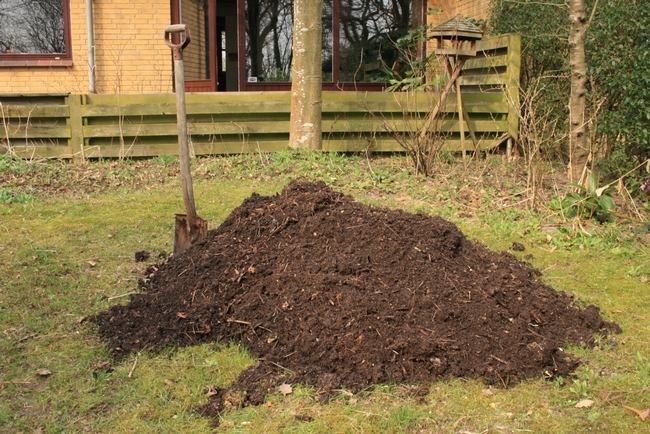 Clay soil holds micronutrients but typically needs to be amended with compost to lighten it, so it has air pockets for the nutrients to cycle. Have you been adding organic matter to feed the soil microbes? Soil is alive. 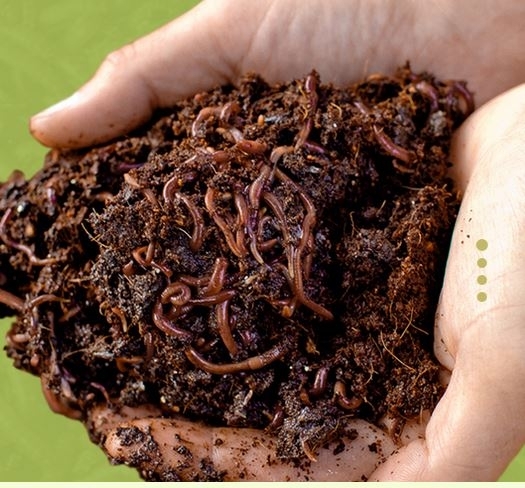 It has both macroscopic organisms (the ones we can see), such as earthworms, aerating the soil and decomposing organic matter and also microscopic organisms such as bacteria and fungi. 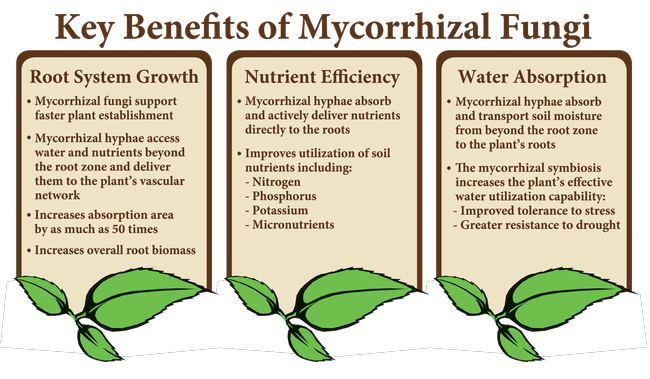 Mycorrhizae are fungi that live in association with the roots of plants. These fungi collect nutrients for the plants in exchange for carbohydrates. It's a wonderful example of life forms helping each other. There's a whole conversation going on underground in healthy soil. Don't neglect weeds. Most soils have a large amount of weed seed just waiting for the right conditions. Weeds compete with your vegetables for water and nutrients. 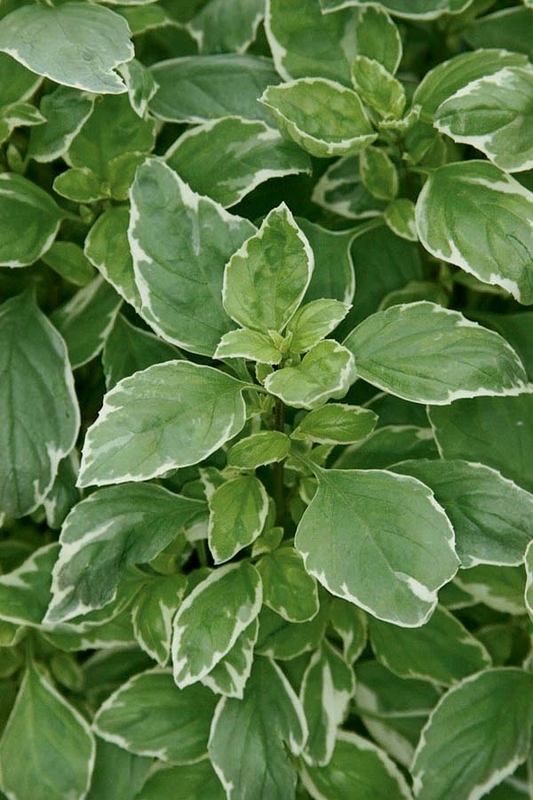 Controlling them is a constant part of gardening but can be managed by depriving the weeds of water and light. 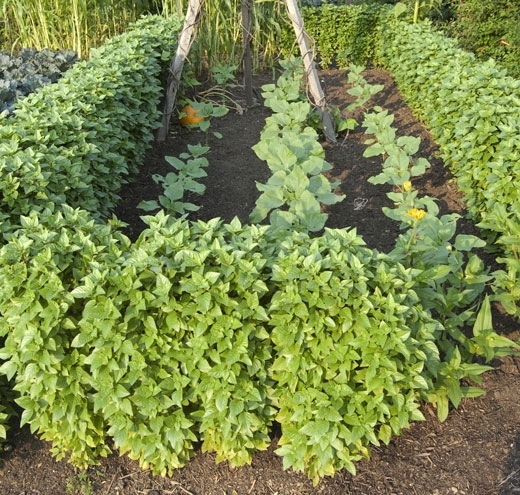 Mulch your beds to exclude light, water only where necessary for your vegetables and disturb the soil as little as possible to avoid bringing up a new crop. 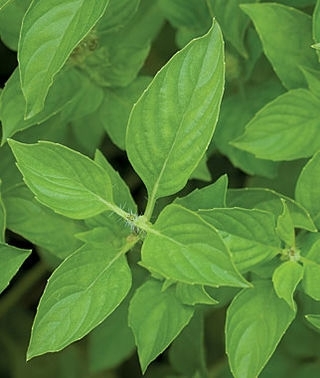 Plant healthy transplants at the right time to encourage growth and to out-compete weeds. 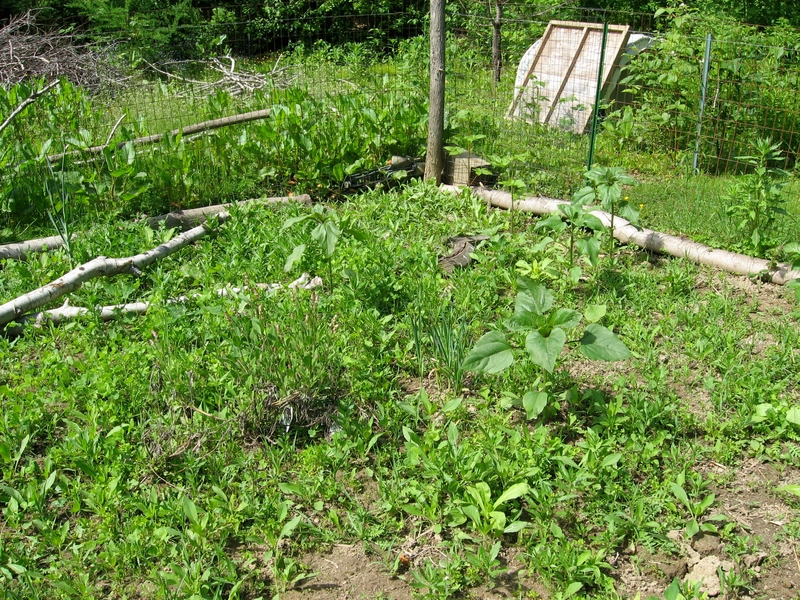 Chemical weed controls are not recommended in a vegetable garden and not needed in most situations. Now that you have a sunny spot with great soil, access to water and no weeds, what do you want to grow? Ask yourself why you are gardening. 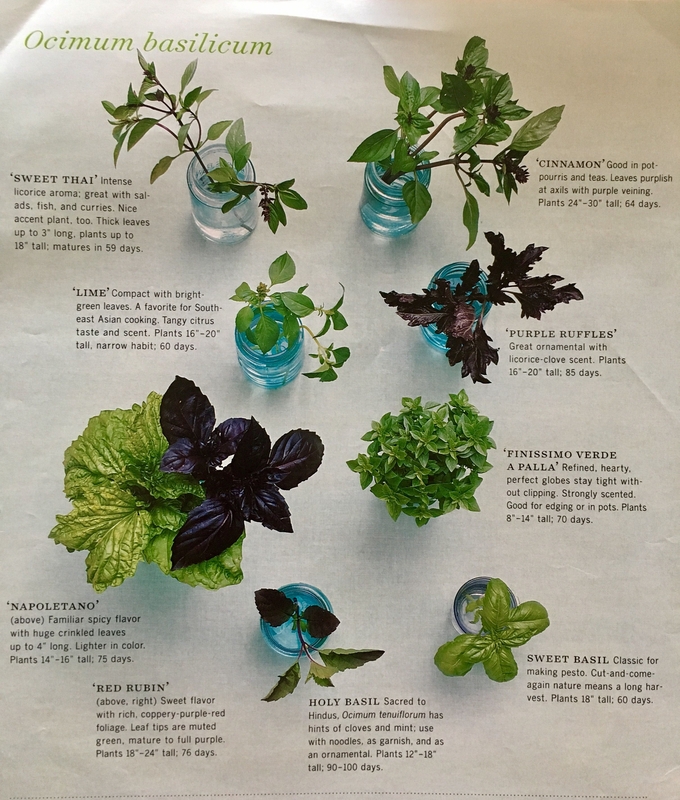 Is it for flavor, to save money, to harvest organic produce or to have access to unusual produce varieties? It's tempting to want to grow everything, but properly spaced plants will be healthier and more productive than plants spaced too closely. 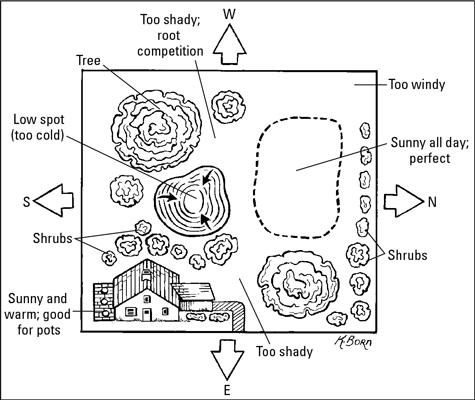 Make a planting plan on paper. 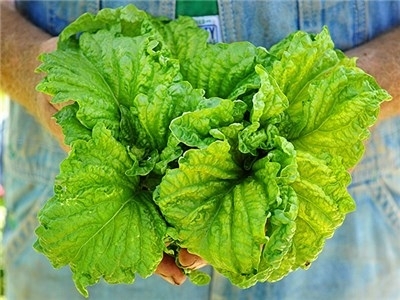 Think about the size of the vegetable when full-grown and how long it will be in the ground. 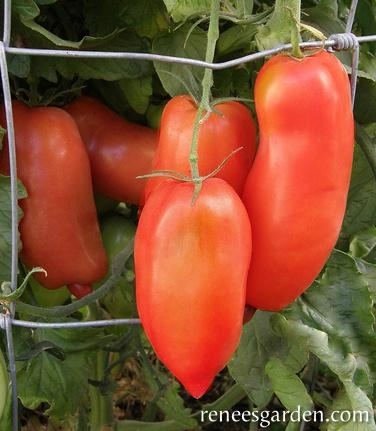 An indeterminate tomato plant will eventually need almost nine square feet of growing ground and will need to be supported with a strong five-foot-tall cage. Can you stagger plantings for a longer harvest season? It is better to grow fewer plants well than to have a large vegetable garden that you can't take care of. 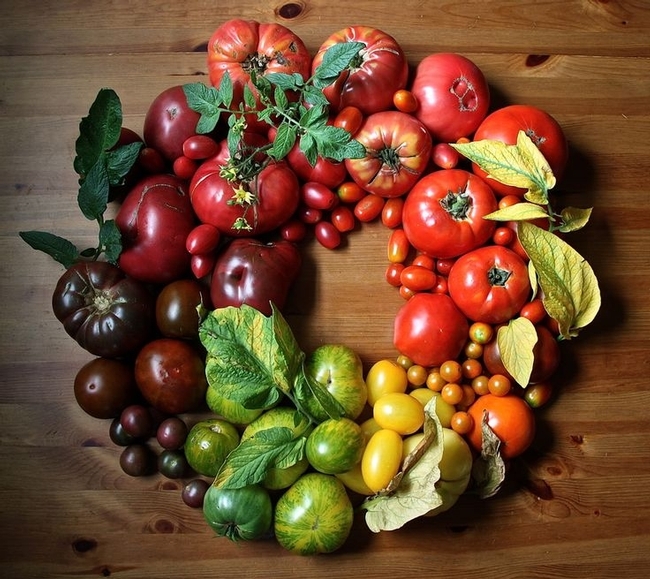 Gardening is work and therapy, and you get tomatoes, too. Free Talk, 1 hour: “Growing Summer Vegetables” at the Napa Public Library on Thursday, March 7, from 7 p.m. to 8 p.m. Learn what you can grow in the summer, what to plant and when, and how to have a harvest all summer long. No registration required. Workshop, 2 hours: “Growing Spring and Summer Vegetables” on Saturday, March 9, from 9:30 a.m. to 11:30 a.m., at the University of California Cooperative Extension, 1710 Soscol Avenue, Napa. Do you want nutritious, easy-to grow and utterly fresh food from your garden this spring and summer? Learn what the garden needs to successfully produce spring and summer vegetables from seeds and plant starts. In addition to growing basics and hands-on activities, this program includes watering, fertilizing and harvesting tips, with a dash of Integrated Pest Management for pest and disease control. The delight of growing your own groceries is matched only by savoring them at harvest. Online registration (credit card only); Mail-in/Walk-in registration (check only or drop off cash payment). Workshop, 2 hours: “Summer Vegetables” on Sunday, March 10, from 1 p.m. to 3 p.m., at Yountville Community Center, 6516 Washington Street, Yountville. 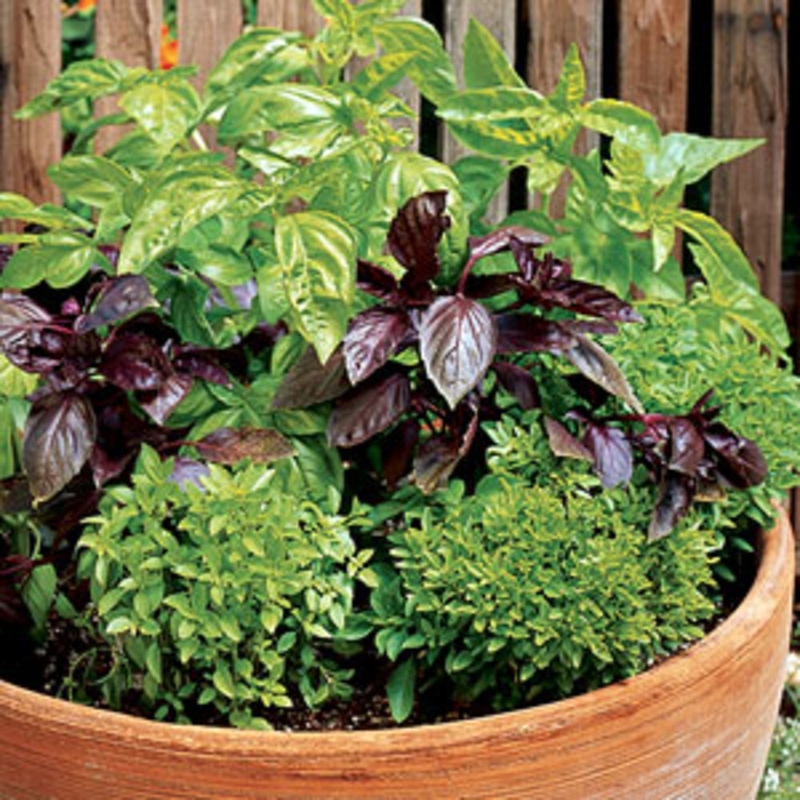 Get tips for growing your own summer vegetables. Learn some basics, get keys to success, and do hands-on activities to learn about new varieties and review old favorites. Enjoy healthy vegetables taken straight from your garden to your table. The delight of growing your own vegetables is matched by savoring them at harvest. Online registration or telephone the Parks & Recreation Department at 707-944-8712. Demonstration garden update: UC Master Gardeners of Napa County have begun the process of re-establishing a demonstration garden in Napa Valley. For further developments, please visit the Demonstration Garden link on our website ( http://napamg.ucanr.edu/). 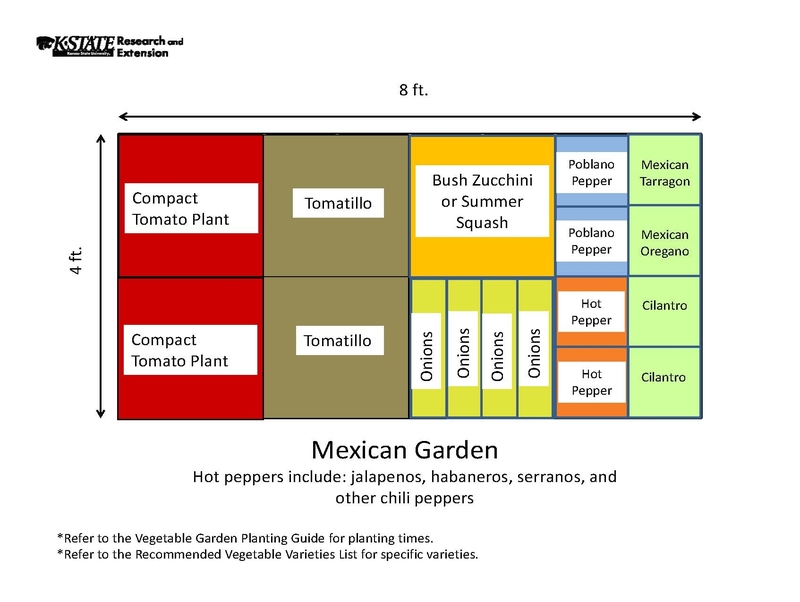 Master Gardeners are volunteers who help the University of California reach the home gardening public with research based gardening information. U. C. Master Gardeners of Napa County (http:/napamg.ucanr.edu) are available to answer gardening questions in person or by phone, Monday, Wednesday and Friday, 9 a.m. to Noon, at the U. C. Cooperative Extension office, 1710 Soscol Avenue, Suite 4, Napa, 707-253-4143, or from outside City of Napa toll-free at 877-279-3065. Or e-mail your garden questions by following the guidelines on our web site, Click on Have Garden Questions? Find us on Facebook under UC Master Gardeners of Napa County.